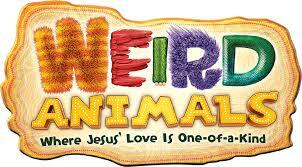 We are putting the final finishing touches together at Mountain View for the Weird Animals VBS that is starting tonight!!! If you are ready for some wild adventures in God’s word, then this is the place to be tonight from 6:00 to 8:30. If you have not registered, click on this link. If you have any problems or questions about registration, please call Steve Blackston at 706-741-0584 or leave your question in the contact form below. We are looking forward to seeing your kids this week!! This entry was posted in 2014 VBS, Uncategorized by MV 4:12 Ministries. Bookmark the permalink.